There are different people and different car usage habits – someone uses the car just in weekends and can rent out during the workdays, someone has a second car and uses the other one very rarely. Till now you had an option to choose on your car profile whether you want to give out your car for short term or long term. But the renters don’t always have the time to thoroughly read all the information on cars profiles. That is why from now on you can choose the maximum and minimum rental lengths fro your car. The renters will not be able to make a reservation for your car if the rental length will be longer or shorter than you have allowed. If you still would like to receive all reservations, you can still mark “any” for min and max rental lengths and then you will receive everything. if you had marked just for “short-term”, then the minimum period will be “any”, but maximum – “1 week”. It means that you will receive those reservations, which are shorter than or exactly one week. if you had marked just “long-term”, then the minimum period will be “3 days” and maximum – “any”, so your car will be available for rental just if the reservation will be at least 3 days long. if you had marked both – “short-term” and “long-term”, your minimum and maximum rental length will be “any” and your car will always be available for the rental and you will receive all reservations. To change the minimum and maximum rental lengths, please go to your profile and press button “Rental calendar”. In the rental calendar you can mark days, when your car will not be available, but under the calendar you can choose the minimum and maximum rental lengths. It’s very important that your calendar doesn’t confront the rental lengths. For example, if you choose that on Sundays the car is not available for rentals and set the minimum rental length one week, then it will not be possible to rent out your car because between one Sunday and the next is less than a week. 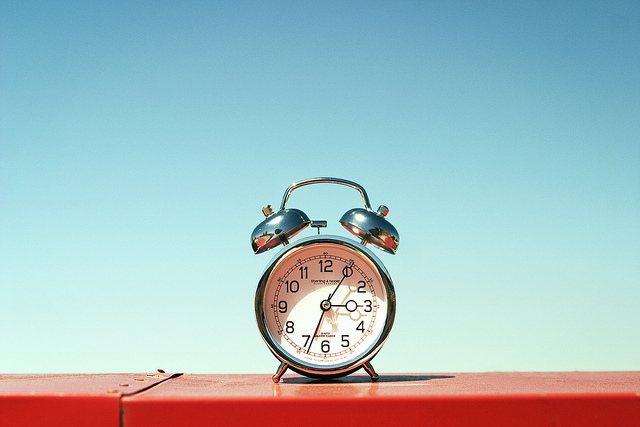 Before restricting your rental lengths, make sure you really will not want to receive longer or shorter reservations. Don’t forget to go to “rental calendar” regularly to update your car’s availability and rental lengths. If you use your car almost daily and want to rent it short-term, don’t forget to come to this page couple of months before your vacation trip, so you can rent out your car, while you relax and let it earn you some pocket money. 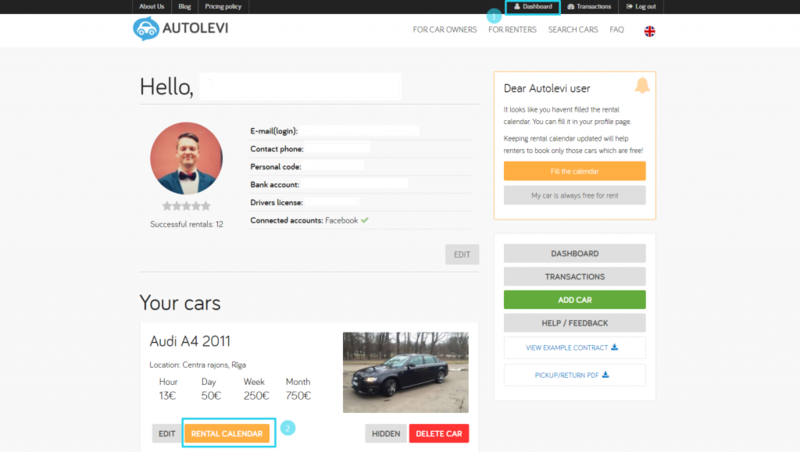 Tell us what you think and contact us with your questions or suggestions via info@autolevi.com !